When I first committed to sample and review 37 chocolates between June and October of 2015, I knew my first reviews would feature chocolate bars from the grocery store. A few reasons for that: first, it’s so much easier to start a daunting project with what you already know and grocery store chocolate was really all I knew until last spring. Second, I wanted to feature bars my friends (who made up most of my audience back in June) could easily find if they wanted to follow me on my journey: my friend Stephanie did just that in the early days, which was quite neat! Finally, I realized that many people don’t know about all their chocolate options at their local grocery store. While a candy aisle is typically stocked with overly sweet options, you will often be able to find better chocolate natural and organic section of your store. To help you start your own chocolate journey, here is a list of bars I reviewed as part of the challenge that I think you’ll enjoy. You can watch a detailed review of the Evening Dream bar here. Ghirardelli is a San-Francisco-based chocolate-maker whose chocolate products are widely available in American grocery stores. While I am not a fan of many of their chocolates, most notably the filled version, I do like the balance of flavors of this 60% bar. If you like the texture of Lindt chocolate, I think you will enjoy this bar. You can watch a detailed review of this bar here. When Scharffen-Berger was founded back in 1997, it was the first new American chocolate-making company in 50 years (source.) Although Scharffen-Berger chocolate is known for its quality baking chocolate, I also enjoy some of their eating bars, with a preference for the bittersweet variety. This one has a firm snap, smooth texture, and a bright, long finish. A little will go a long way. For many years, Theo Chocolate had been my drug of choice to fuel my chocolate addiction: I even used to order 12-bar cases on Amazon! 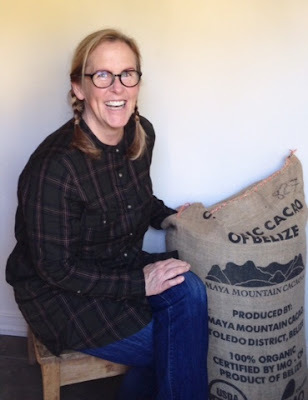 On top of featuring organic and fair trade ingredients, I have always liked the fact their chocolate is easy to find, inexpensive, and fun to eat. In addition, unlike most mass-produced chocolate, Theo Chocolate does not use any soy lecithin in their bars, which is good news if you or someone you know is allergic to soy. I have a soft spot for their inclusion bar: cherry almond, anyone? Although I reviewed the dark chocolate, sea salt, and almond bar as part of my challenge, I actually like the balance of flavor of its milk chocolate counterpart even better. Note that the dark chocolate has a much drier texture than a Ghirardelli or Lindt chocolate. Watch my review of TCHO 70% Ghana bar here, 53% Milk Chocolate here, and Mokaccino bar here. A relative newcomer to the world of chocolate, TCHO currently makes some of my favorite grocery store bars. Not only do I like their chocolate, I also happen to love the work the company does to educate customers on chocolate production and flavor. On the front of the packaging, you’ll find some approachable, brief tasting notes. On the back, more detail on the flavors, which should help you decide if the bar is for you. I ended up reviewing three bars as part of the challenge: the 70% Ghana, a traditional, quality dark chocolate, the 53% Milk, which is the creamiest, most satisfying dark milk chocolate I have found in grocery store, and my absolute favorite, the Mokaccino bar, which features the perfect balance of chocolate and coffee. You’ll actually find TCHO in the natural and organic sections of larger grocery stores, such as Wegman’s on the East Coast, as well as in some natural and organic stores. Your turn! What are some of your favorite chocolate bars from the grocery store? Three bars I recently tasted. Demonstrate to my French readers that there are a lot of excellent American chocolates. 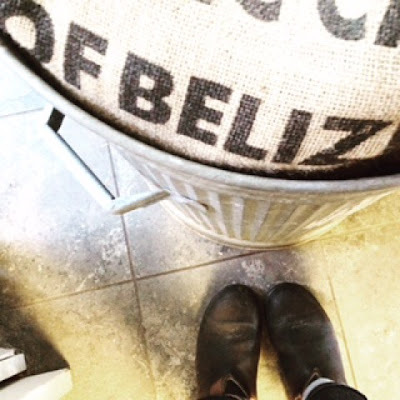 Dip my toes in the world of craft chocolate. Understand why some makers charge $10/bar. But while I was busy pursuing these goals, I made a surprising discovery. As I was preparing my 10th review about Woodblock Chocolate, a craft chocolate maker from Oregon, I clearly recall thinking: “this chocolate-maker takes its craft seriously but does not take itself seriously.” How that thought materialized, I am not sure, but I suddenly understood that, unlike industrial chocolate, craft chocolate carried the soul of its maker. That 10th review marked a turning point in my chocolate journey and I started looking at how a chocolate-maker infused her or his chocolate with her or his personality. In short, my interest shifted from bars to makers. Meeting Robert Campbell aka Chocolate Alchemist in Philadelphia was one of the highlights of my “37 Chocolates” challenge. Well, you may ask, do I have a favorite maker? 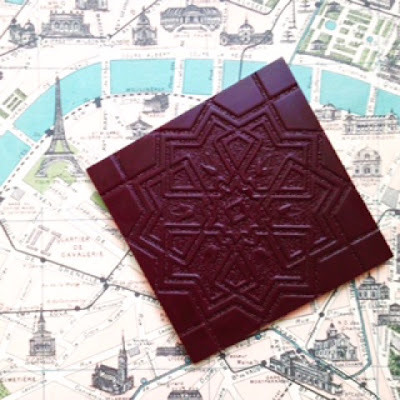 The answer is yes, I do: Map Chocolate. 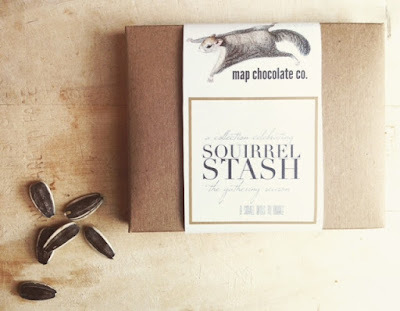 Map Chocolate converted me to the world of craft chocolate without even trying. If you only watch one of my reviews, I would suggest you check the one I did of two of her bars. 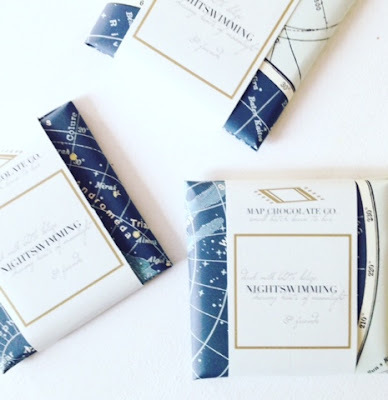 Finding the work of Map Chocolate was as close as it got to finding a chocolate soulmate. However, just like my beloved husband cannot possibly be everything to me, Map Chocolate cannot fill all of my chocolate needs either. Besides, there are so many authentic, passionate makers I want to support. Le Chocolat Chaud was the subject of my 37th review. For instance, I’m drawn to the worlds of Dulcinea Chocolate in Pittsburgh (oh, their Tanzania bar) and Chocolate Alchemist from Philadelphia (best hot chocolate EVER), as well as Acalli in New Orleans (their dark milk chocolate was my very first craft chocolate crush) and Violet Sky from Indiana (their inclusion bars are pure poetry). I could go on and on, but I do seem to gravitate toward the work of lesser known, unapologetic makers with a strong passion for their craft. That does not mean these makers are the best (is there even such thing, when a big part of making chocolate is sourcing quality cacao? ), it simply means I have been fortunate to have found makers that speak to me. I started this blog to walk you through what I learned during my challenge, one bar and one maker at a time. I want you to embrace the whole experience, the good, the bad, the puzzling, and the exciting. Just like flat tires are part of a road trip, there’ll be a few bars you won’t like as part of your journey. Making chocolate is both a craft and art and the art part is what appeals to me. That means there is no ranking, no top 3, and I hope you’ll be inspired to go and find the chocolate that will speak to you.